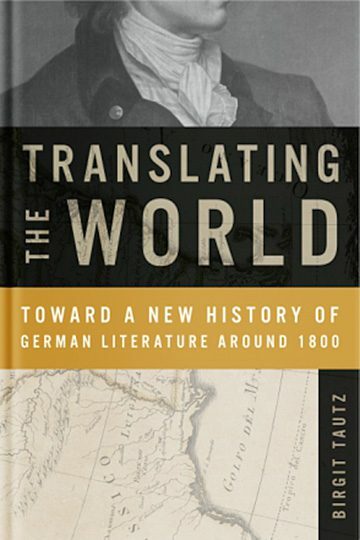 In Translating the World, Birgit Tautz provides a new narrative of German literary history in the late eighteenth and early nineteenth centuries. Departing from dominant modes of thought regarding the nexus of literary and national imagination, she examines this intersection through the lens of Germany’s emerging global networks and how they were rendered in two very different German cities: Hamburg and Weimar. German literary history has tended to employ a conceptual framework that emphasizes the nation or idealized citizenry; yet the experiences of readers in eighteenth-century German cities existed within the context of their local environments, in which daily life occurred and writers such as Lessing, Schiller, and Goethe worked. Hamburg, a flourishing literary city in the late eighteenth century, was eventually relegated to the margins of German historiography, while Weimar, then a small town with an insular worldview, would become mythologized for not only its literary history but its centrality in national German culture. By interrogating the histories of and texts associated with these cities, Tautz shows how literary styles and genres are born of local, rather than national, interaction with the world. Her examination of how texts intersect and interact reveals how they shape and transform the urban cultural landscape as they are translated and move throughout the world.